I got a nice present from my friend the other day. 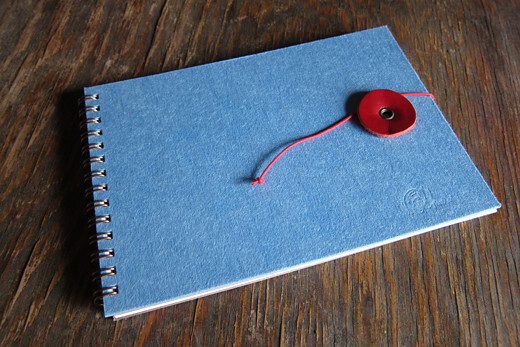 It is the world’s only semi-custom made notebook that a stationery shop named KAKIMORI created, which is located near Kuramae Station on the subway line. 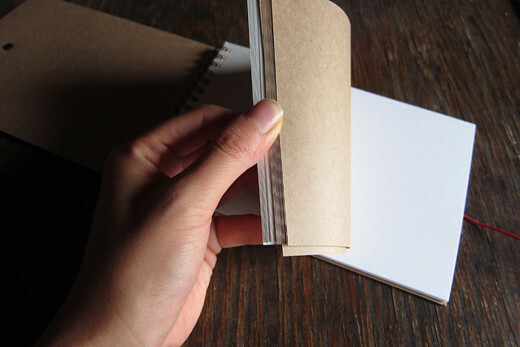 At KAKIMORI, you can make an original notebook to order by selecting a cover sheet, inside paper and the size. 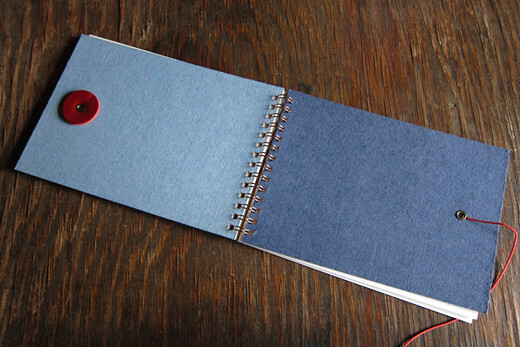 The cover page is blue, which is my favorite color. 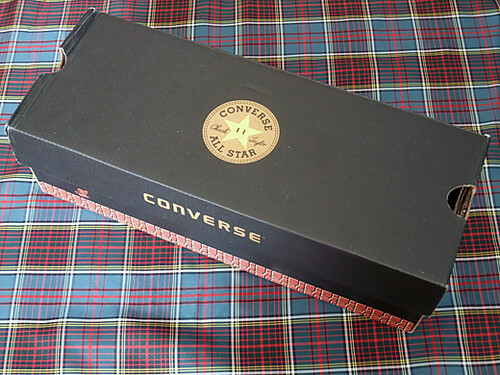 It’s too nice to use, but it is exciting to think how I will use it. 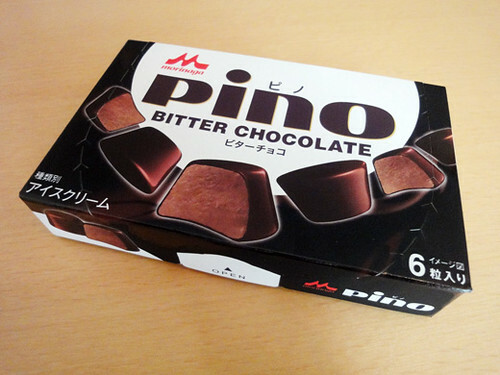 Pino’s ice cream new flavor, ‘Bitter Chocolate’ just has been came out in mid August, 2011. This new flavor has became the regular flavor. 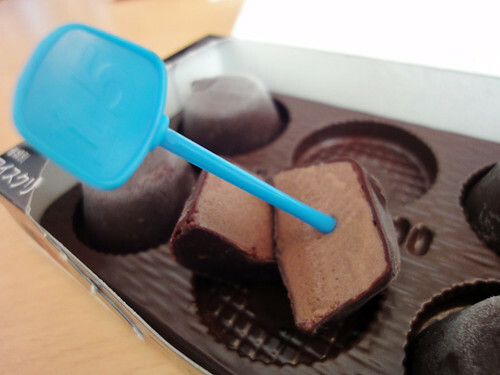 The bitter chocolate ice cream which tastes very think and creamy that is covered by silky bitter chocolate. I’m sure that bitter chocolate lovers love the fantastic flavor. 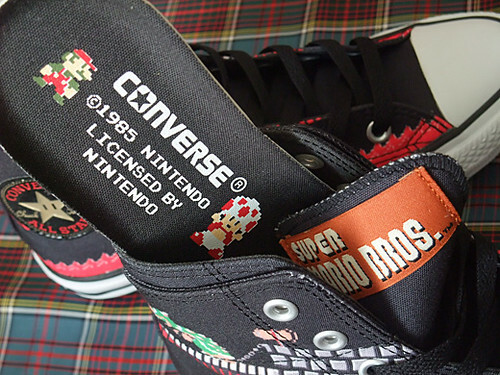 Another Converse All Star x Super Mario Bros. sneakers. Version 2 sales from August. 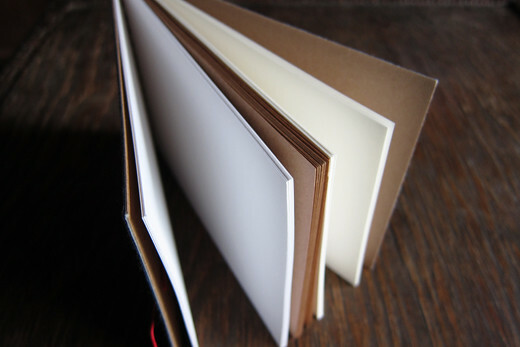 The design is like a game screen. 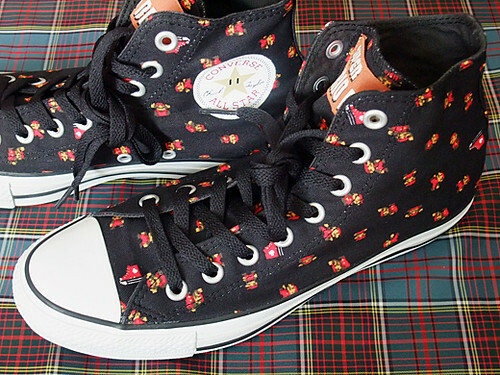 Top of the shoes goes double fabrics, Princess Peach and her message are hiding there. Toad on insoles. and of course Starman is same as version 1… becoming star mark! 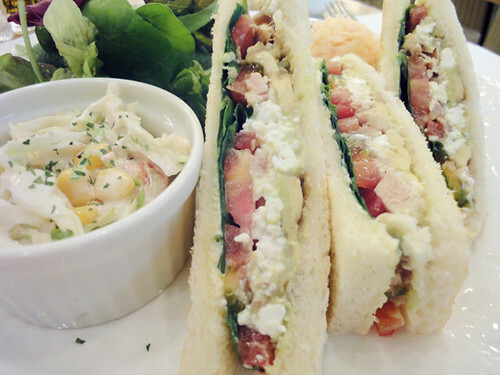 I had lunch at ‘Tea Salon Earl’ in Shibuya Seibu Department during my shopping. The cafe is located on the basement floor where is a very great spot for relax. 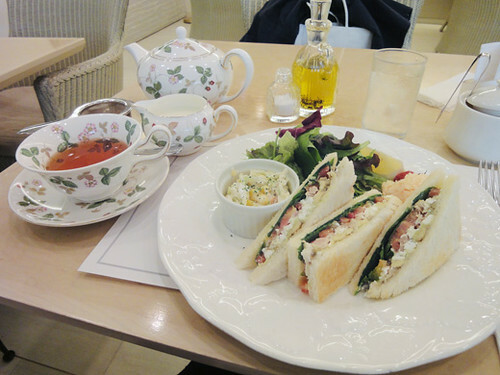 And, I had cottage cheese & vegetable sandwich and Uva tea with Wedgwood Wild Strawberry’s tea sets for my lunch. 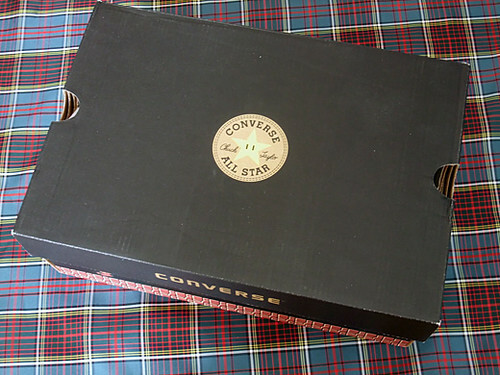 They were very good for a lunch break, and I really had good time for relax. I will get a scone for the next time! 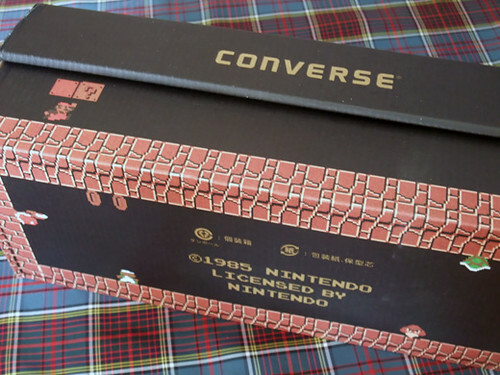 I was late for catch the news up, now I could get Converse All Star which collaborated with Super Mario Bros. Version 1 sales from July. 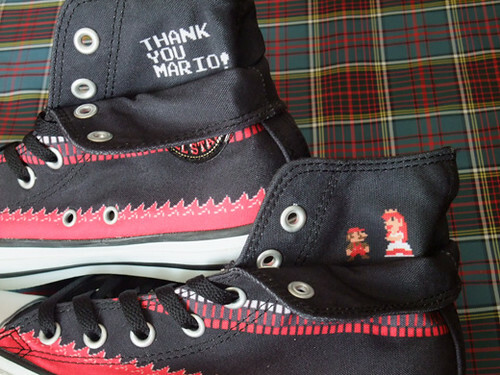 Pixel art Mario and some Converse sneakers were printed on the shoes. 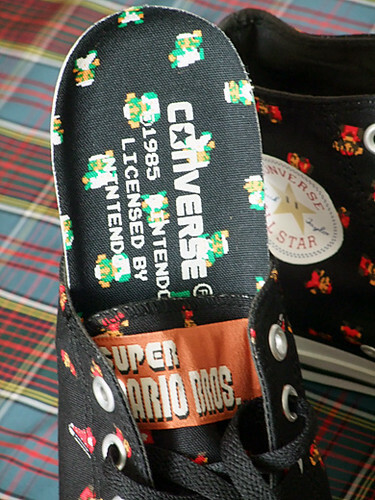 Mario’s brother Luigi hiding on insoles. 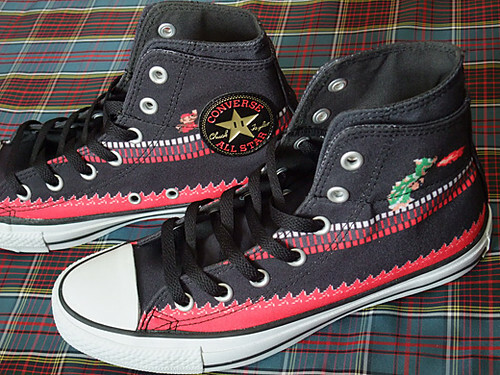 And Starman become converse star mark! 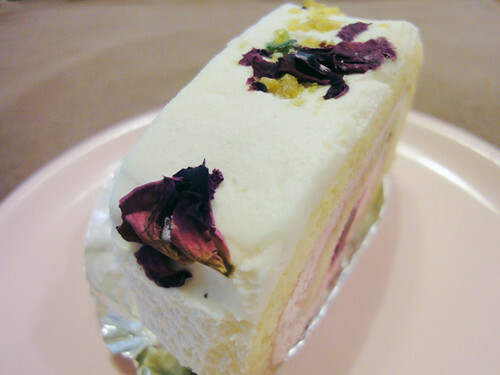 I got 2 kinds of cake rolls of rice powder at JR Ueno station by the second festival for cake rolls of rice powder was held for a limited time only. The festival was meant that we should have more Japanese rice that is grown in northeastern Japan with other Japanese products. 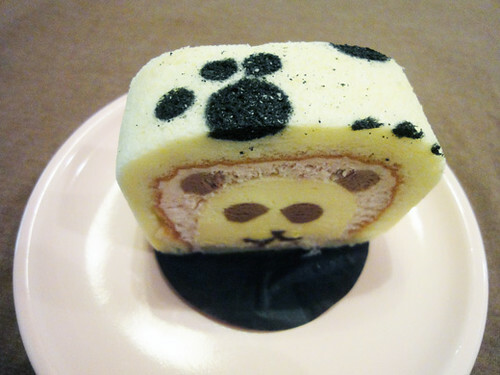 The 2 kinds of cake rolls that I got were ‘Princes roll of Rose’ and ‘Kome(rice) Panda roll’. 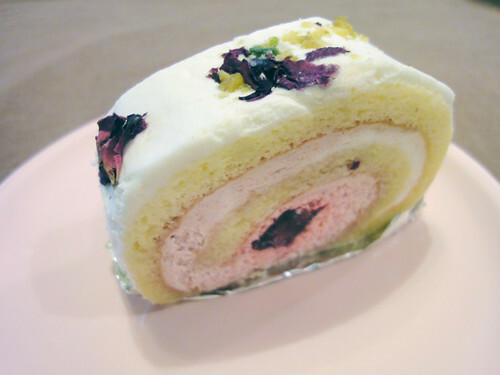 The ‘Princes roll of Rose’ is made with pure scentful rose water as one of the ingredients. 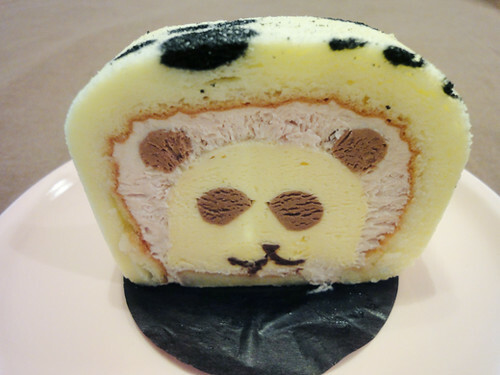 And, the ‘Kome(rice) Panda roll’ is made from rich milk and fresh raspberries for the mousse. They looked very beautiful, also the tastes were great. My friend will move to Kamakura soon. 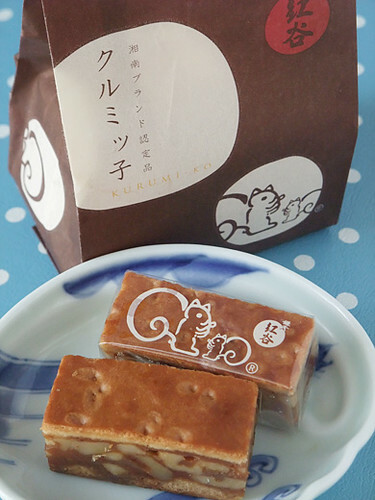 She gave me Kurumikko, famous sweets in Kamakura. Full of walnuts are dressed with chewy soft caramel between good cookies. 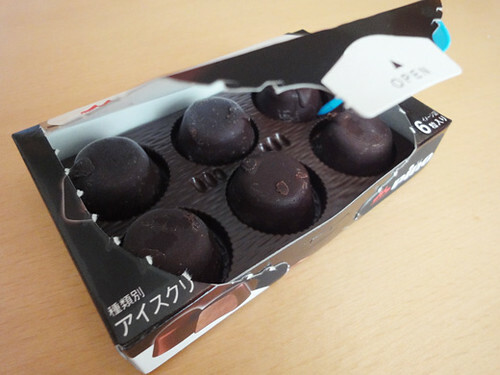 You can see cute walnut lovers printed on package! 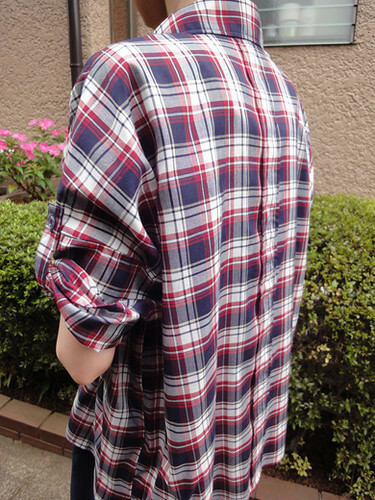 I got a red & navy plaid shirt from FREE’S SHOP. 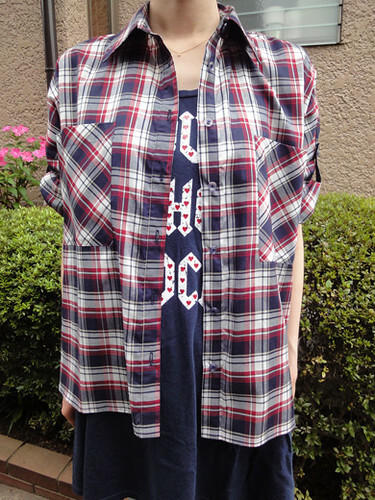 Lightweight woven shirt features plaid pattern and button tabs at sleeves. This outfit can be taken from summer into autumn.